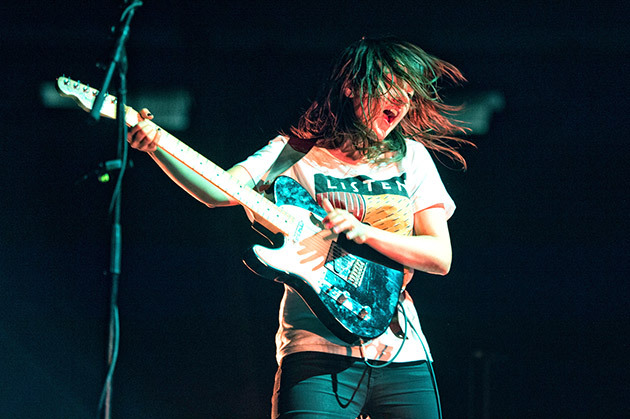 Courtney Barnett, after opening for Blur at the Hollywood Bowl in LA on 10/20, performed her second show as the band's opener at Madison Square Garden on 10/23. Photos of the show at Madison Square Garden, taken by Dana (distortion) Yavin, can be found on BrooklynVegan. Take a look at the photos, along with a little recap of the night and Courtney Barnett's setlist, by clicking on this link here. If you haven't already, don't forget to get your copy of Courtney Barnett's Sometimes I Sit and Think, and Sometimes I Just Sit on either vinyl or CD at the Mom + Pop store! You can also find the album on iTunes or Amazon. For those of you who want to treat yourself to the deluxe version of Sometimes I Sit and Think, and Sometimes I Just Sit you can grab it right here.